Learn how to install an aftermarket rearview backup camera on your Toyota 4Runner with the help of this article. 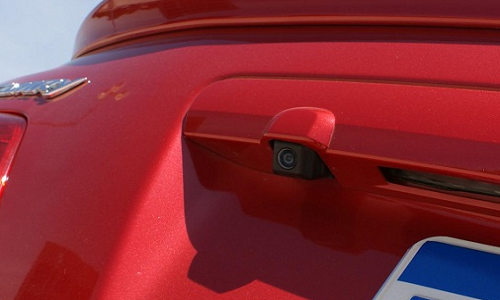 Rearview backup cameras are single-handedly one of the simplest but also most convenient features in modern cars. At first a luxury, but now a common standard item in many vehicles, backup cameras engage when you put your vehicle in reverse, and a tailgate mounted camera feeds images into your center console monitor. Depending on the year and trim of your 4Runner, it may not come with one. 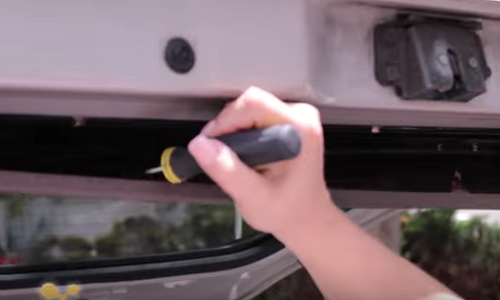 Use the following steps to learn how to install a rear view backup camera to your 4Runner. 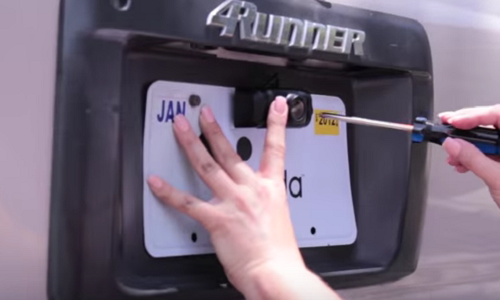 Using the appropriate screwdriver, remove the license plate. If there is no hole, use the drill and drill bit to drill one. If there is an existing hole on the body behind the plate, feed your camera wire into it. 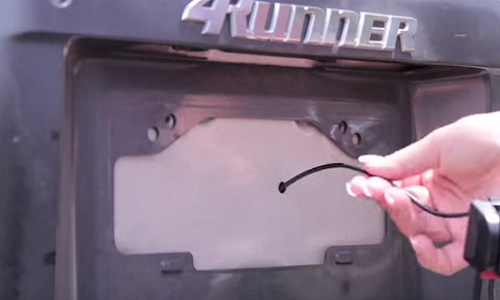 Remove tailgate panel with the help of a flat head screwdriver. Find the camera wire, pull it and route it toward either taillight. Remove taillight and expose the wiring. Wire backup camera to the reverse light wiring. Figure 1. Hole behind license plate. Figure 2. Remove tailgate panel. Figure 4. Wire camera to reverse light wiring. Apply anti-rust grease to any holes you drill on the body. 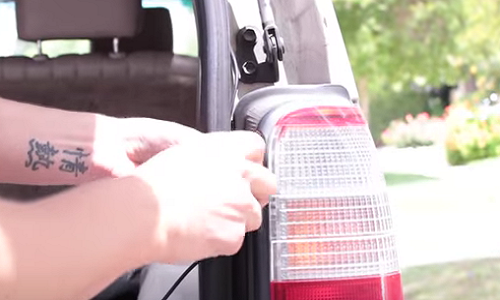 Use the drill to drill two holes adjacent to the license plate light bulbs. Use screws to mount camera mount to the holes drilled. 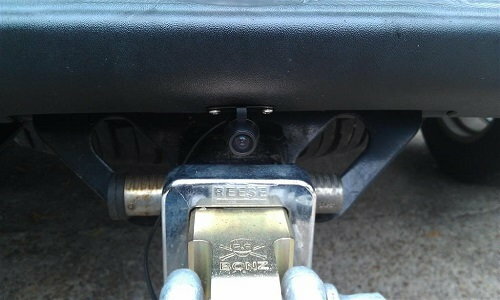 If mounting on license plate directly, simply slide camera onto the license plate itself. If mounting elsewhere, repeat Step 1 similarly. Run wiring through body along taillight wiring. Wire to desired source of power. Figure 5. Run wiring to power source. Figure 6. Mount directly on license plate. Figure 7. Bumper mounting position. Figure 8. 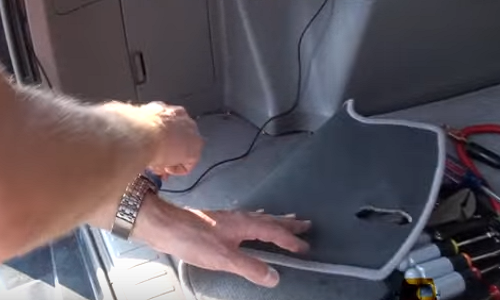 Trunk handle mounting position. Make sure all wiring is properly tied down and organized. Remount taillight if haven't done so. Snap inner tailgate body panel back on. Toyota 4Runner 1984-1995: Why Won't My Rear Window Work?